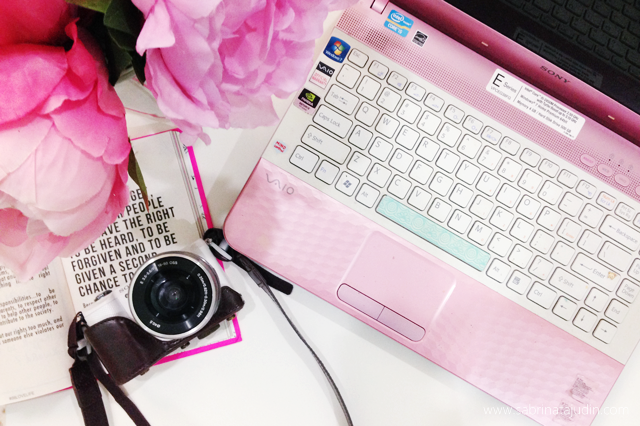 Be in the internet world and blog about beauty stuff does not stop me from not obsession for gadgets too. I love all sorts for gadgets and all things “machine”. I always in the search for a good camera for blogging photos, a good ram for processor, best price for a new phone in the market or even a good computer with good graphic card to keep my The Sims from lagging. But there is one problem. I seriously don’t know how much the standard price for all these products is. Right now I am looking for a good monitor + desktop computer. As what I already told in my resolution. There is too many desktop computer out there. From monitors to the desktop to each of its features. Sometimes I give up. They mostly wont display it in the web! So I have a solution for you guys who have the same problem as me. Especially us girls or even boys here reading my post now. Going to each shop and ask for the price will be a hassle. Also most of them won’t layan you one, been there!). Also to avoid get cheated from these seller. Or as I like and prefer to shop online and could not find an online store that sells these. How to? Here is how you can get the best price / compare which product to get. I am going to give an example, "iPhone 5 latest Price". So when shop for gadgets and all these tech products, the price can really be different from each store you go. It's very hard to compare and sort out. Thanks to my new discovery, PricePanda save me from all of the hassle. So by checking sites like PricePanda or other comparison platforms, can be quite useful to find cheaper prices. Let me show you how you can utilize this site for a better shopping experience. For example, the news feed have been folding with iPhone 6. But I still wanna know how much iPhone 5s is in the market now. The price may vary so here's how to ease your finding. Easy as how it looks! On top of that, you can also discover shops that offers these offers worry free. All shops that are partner with Price Panda are absolutely legit. You can compare price, what they are offering easily. Compare prices from popular brands such as Apple, Samsung, BlackBerry, Acer, Canon and Nikon, all PC brands too such as HP and Asus. What makes the shopping experience more reliable, is that you are not alone dealing with them, PricePanda will also help you. Another great features is that some people prefer to have a look forts of what they buy, so PricePanda also extended their coverage to offline stores. So you can compare it first at home and go offline to the products and price ranges they offer. I hope this post will help as a shopping guide for you! Make sure you purchase the one that you really need, have that knowledge before buying items especially gadget and many more products that in the market. Regret Free, Worry Free! ;) Now I am going to search for my desktop computer, My Sims need it, I mean I need it for work. haha. Great post on this one! :D I personally think this will help a lot, especially US, girls :) Sebab kadang-kadang ye lah, kita ni mana nak tahu sangat pasal gadgets interior semua tu kan. Like Sab said, RAM for processor. Kalau pergi kedai, memang lah diorang mesti nak promote --> higher RAM = excellent performance kan. Padahal kita nak pakai untuk online & buat assignment je. So sometimes, customers yang rugi :-/ Bayar lebih untuk functions yang kita tak perlu pun. Thanks Sab for this post. Really needed this tip. Cause I wanna buy camera items and gadgets right now but its hard to find the best deal. Btw Sab pack camera apa? Alaaa..how come I have not come across pricepanda before? My siblings and I had bought a smartphone for our father for his last year's birthday. We first thought of buying this one particular model of smartphone due to its specs. When we arrived at the shop, it was sold out and the owner recommended us to buy other model. Finally, we just had to simply grab one after inspecting the basic specs (etc: camera, ram, etc). Plus, kena tambah duit since we brought cukup2 duit je for the model that we wanted to buy at the first place. Never mind then, we're going to buy a smartphone for our mother's upcoming birthday. Andddd..pricepanda is a must! :) thanks sab for the tips! I know this is totally unrelated but Do you use any MAC lipsticks? I would like for you to give me a recommendation for a matte MAC lipstick. seriously tak pernah pun tau pasal pricepanda ni..
very infomative la sab u ni.. This is awesome... Memang kalau taip dekat google tu, kemain banyak lagi..